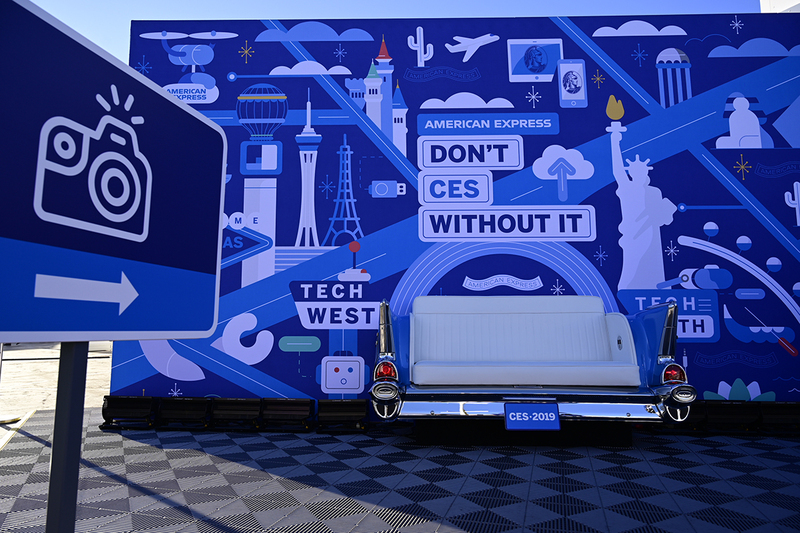 There is a clear and present business audience at CES for American Express to engage in its business solutions and innovations in the fintech space. 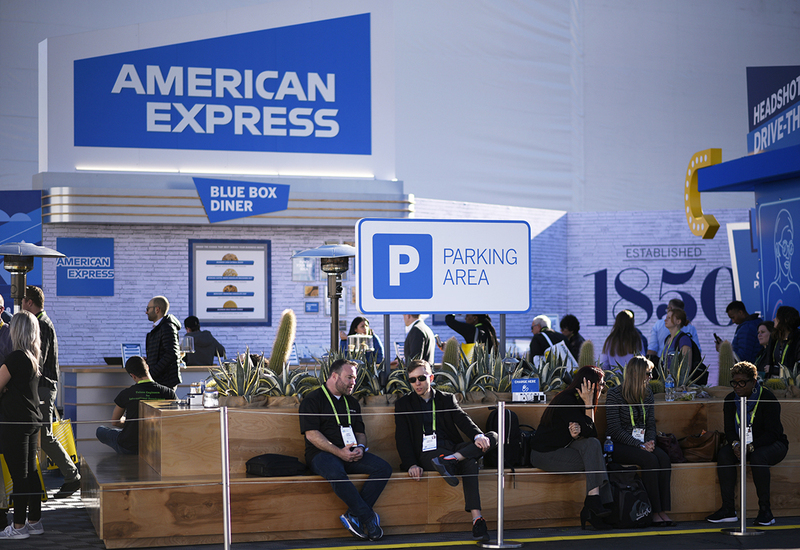 This year, American Express hyper-focused on the user experience at CES to demonstrate how it is a work and life partner brand. 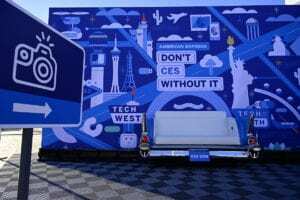 And for the first time, the brand activated outside the Las Vegas Convention Center in Central Plaza, creating a lively service station packed with amenities for all attendees at the show. 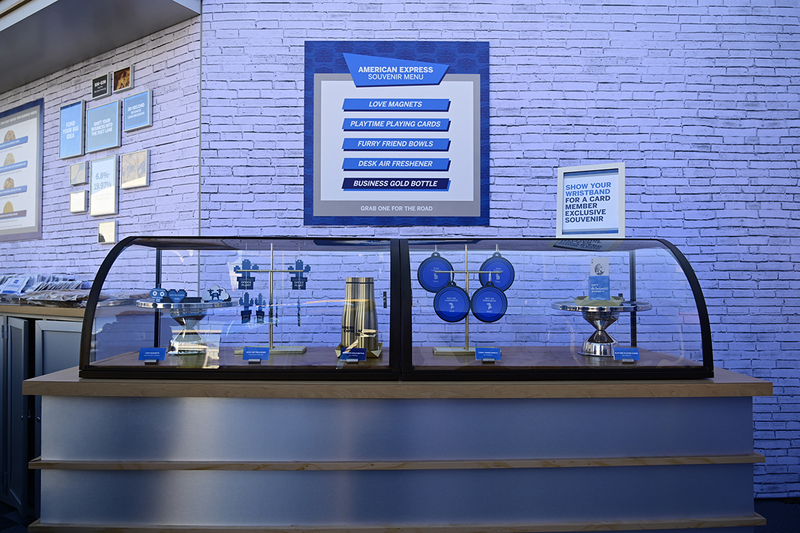 The nostalgia-driven, throwback motif of the activation paid homage to American Express’s history in the financial services space. In fact, one wall proudly stated in large font: Est. 1850. 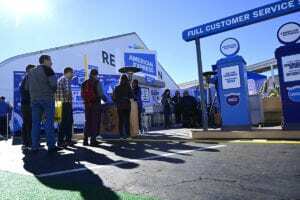 The experience began, naturally, with a stop at check-in counters in front of two blue branded “gas pumps” manned by brand ambassadors who established whether an attendee was a cardmember (assigning them a blue wristband), and to also provide product information and an overview of the space. 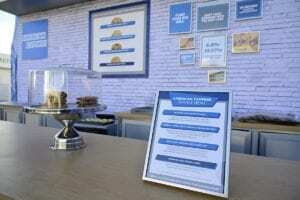 Attendees could then make their way over to the Blue Box Diner, a cookie bar where the mouthwatering smell of warm cookies wafted through the air. 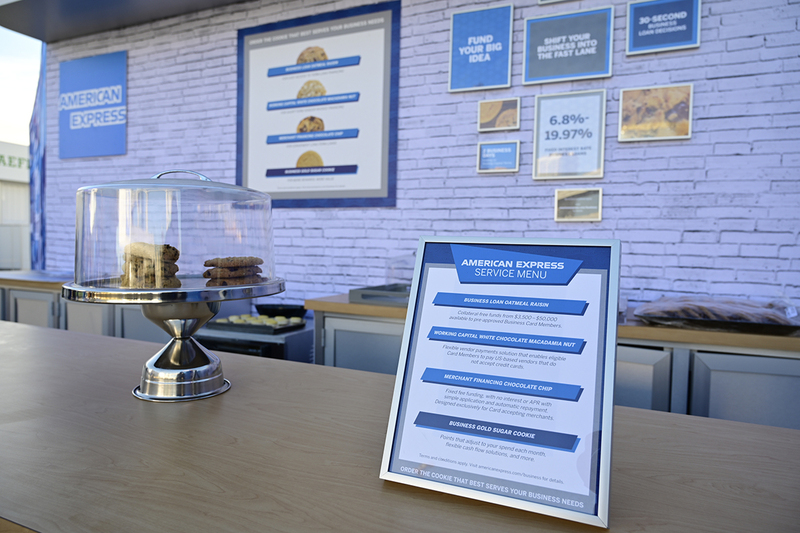 The American Express Service Menu offered a choice of four cookies to choose from, like the “Business Loan Oatmeal Raisin,” or the “Merchant Financing Chocolate Chip.” An ambassador handed over the cookies in a café bag—on the back, information typically included in the nutritional information graph was replaced with interest rate comparisons of Amex cards. 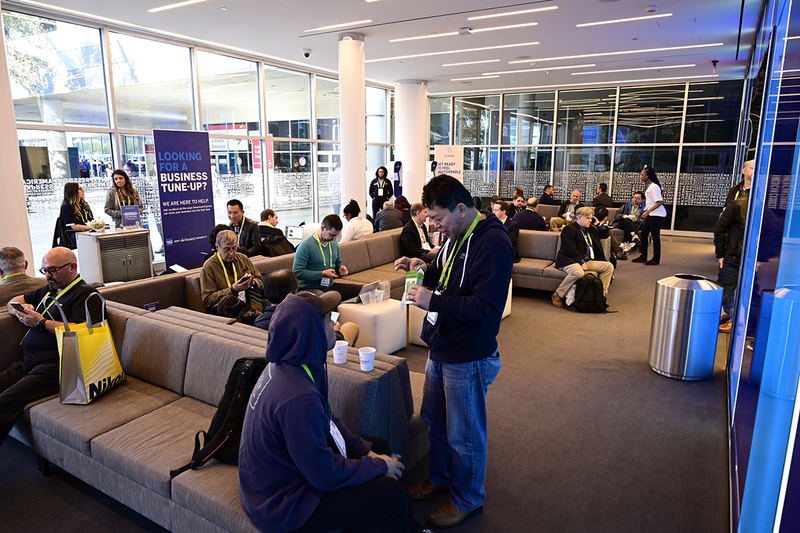 Swag is a big deal at CES, but attendees often find themselves grabbing free stuff not worth hauling home. 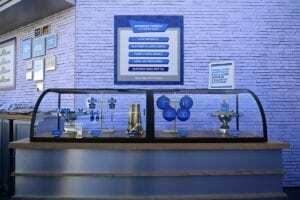 American Express offered a Souvenir Menu behind a glass bakery stand for cardmembers (identified by those blue wristbands handed out at check-in) that included worthwhile items like branded “love” magnets, playing cards, collapsible pet bowls, mini air fresheners for office desks and a handsome branded gold water bottle. 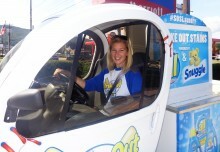 Attendees took a trip through the Headshot Drive-Thru that looked like a vintage drive-through window. After that was a trip through the Headshot Drive-Thru that looked like a vintage drive-through window and included signage that read “Open All Day.” Attendees chose from one of three filters and then stood against a white brick backdrop for a professional photo shoot resulting in an image to use on their social media profiles and beyond. 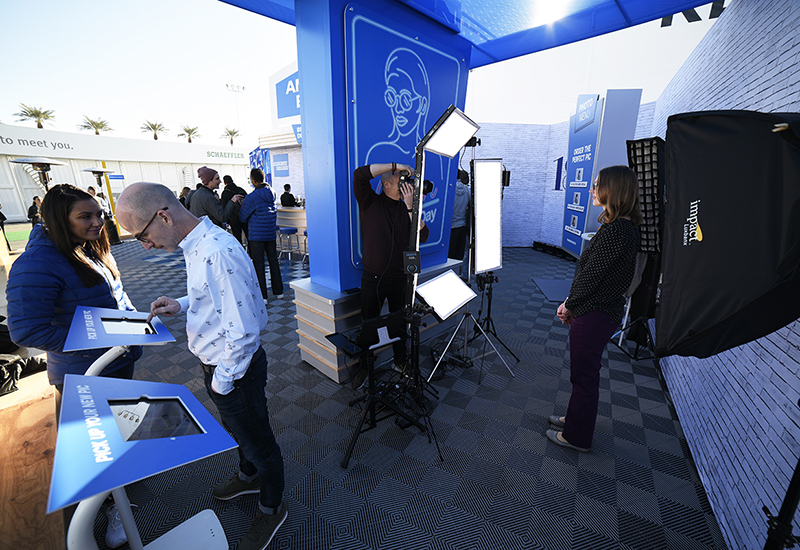 Retrieving the photo was a piece of cake (or cookie)—the options immediately appeared on tablets just beyond the station and they could text or email them on the spot. 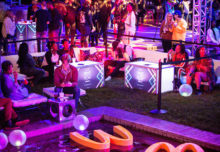 The final experience included the Parking Area with wooden bench seating around a desert plant garden where attendees could network, relax and, most importantly, charge their devices. 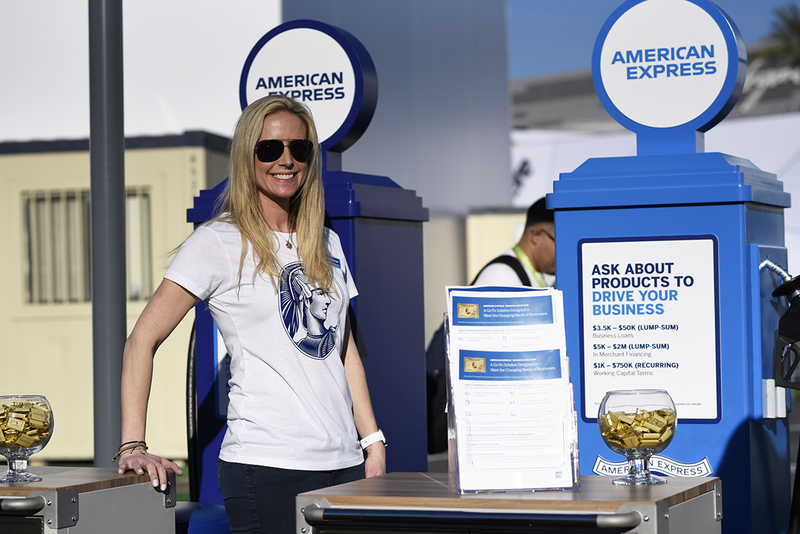 What we loved throughout the activation: all of the branded accents, like the glass jars of chocolates wrapped in gold foil that looked like the Amex gold card, and a three-way street sign in the center of the space that included American Express taglines on them. But that’s not all. 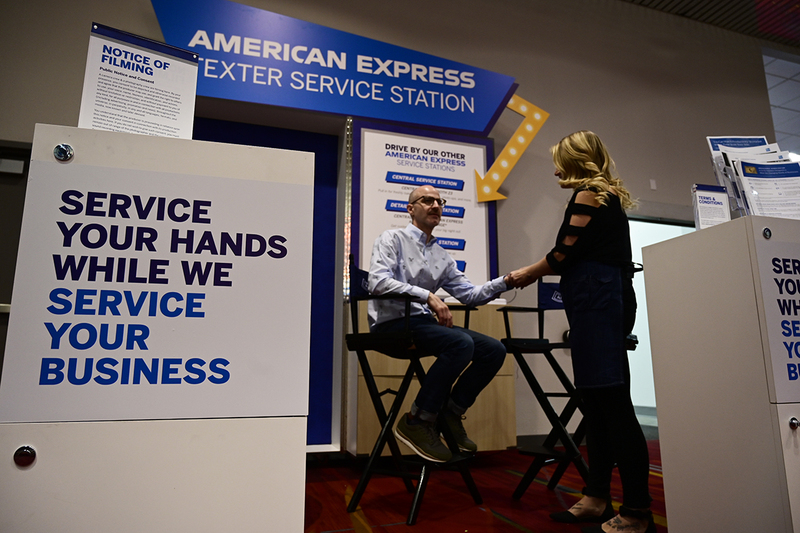 Within the LVCC, American Express continued its mission of service, with the American Express Business Lounge for cardmembers right inside Central Hall that offered comfortable lounge seating, Wi-Fi and a registration activation by CLEAR for expedited TSA checkpoints at airports and other venues. 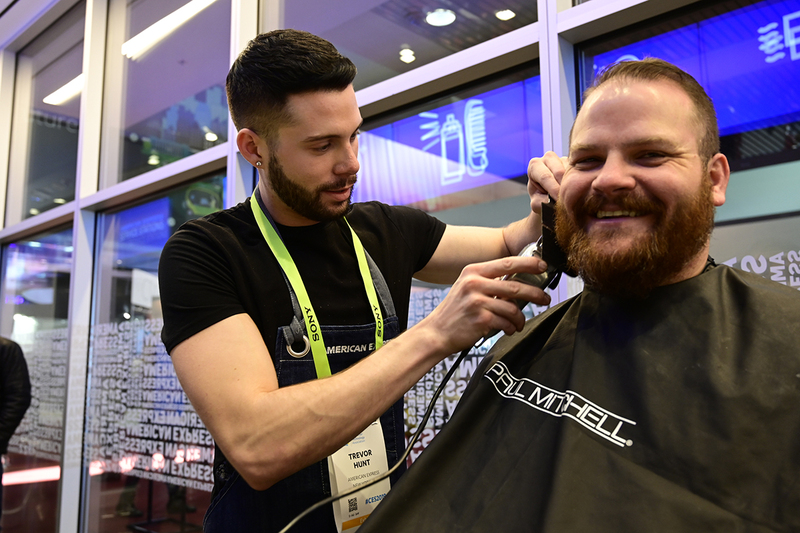 There was also a Detailing Station for hair, beard and makeup retouching. 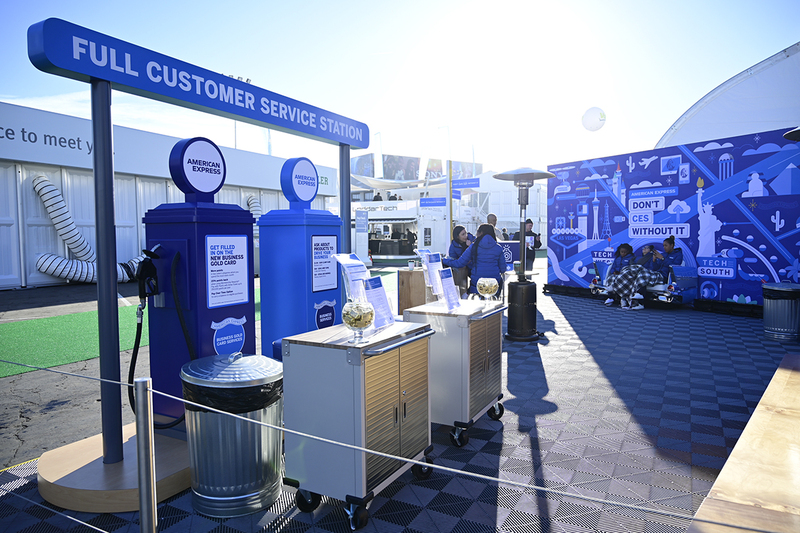 American Express also activated three mini service stations across the LVCC designed to fulfill basic attendee needs on-the-go at CES. This included a Sneaker Service Station, to clean up scuff marks, a Texter Service Station, where attendees could have their devices cleaned while receiving a hand massage, and a CES-themed video booth. Signage at each station directed attendees to “drive by” the other activations. Talk about an experience going full circle. Agency: Momentum Worldwide, New York City.